NYFW is over and the whole circus has been packed up and moved to London, but we still have a couple of great shows to look at, so here we go. 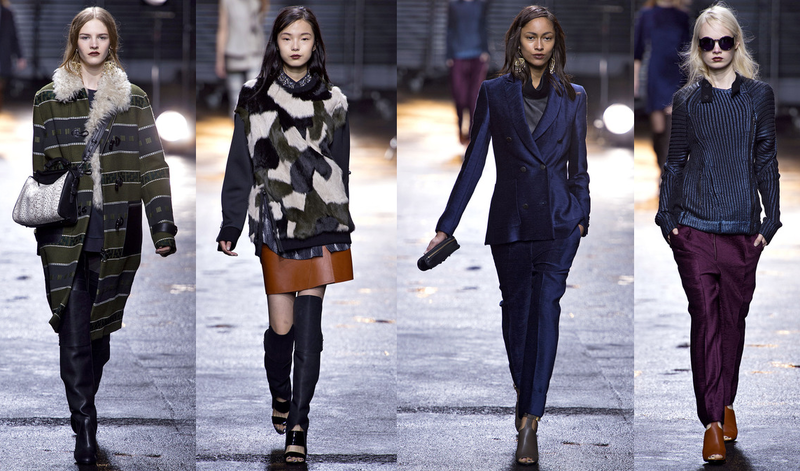 3.1 Philip Lim was fantastic (I defenitely was too early with naming favorites yesterday). 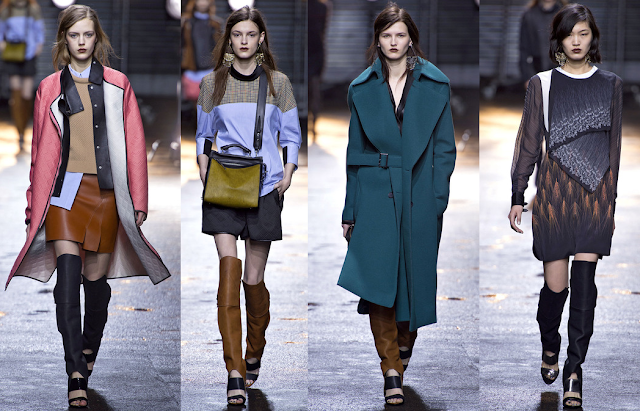 The long boots and short skirts combination sort of reminded me of Theyskens Theory but Philip Lim was a bit more exciting. Where as Theyskens showed a lot of neutral colors and comfy knits (which I loved), Lim was a bit bolder (which I also love*). The inspiration for the collection was biker, but it was executed in a very feminine, polished way. Lim showed a lot of interesting outerwear, and was also quite good in the pants-department. All in all, it was a strong collection and I think we will be seeing a lot of it on the streets this year. * I do know more words than just 'love', I promise, but somehow this season so many of the shows are so amazing I can't think clearly anymore. The thrill of all the beauty around me takes away my ability to sound even remotely intelligent.